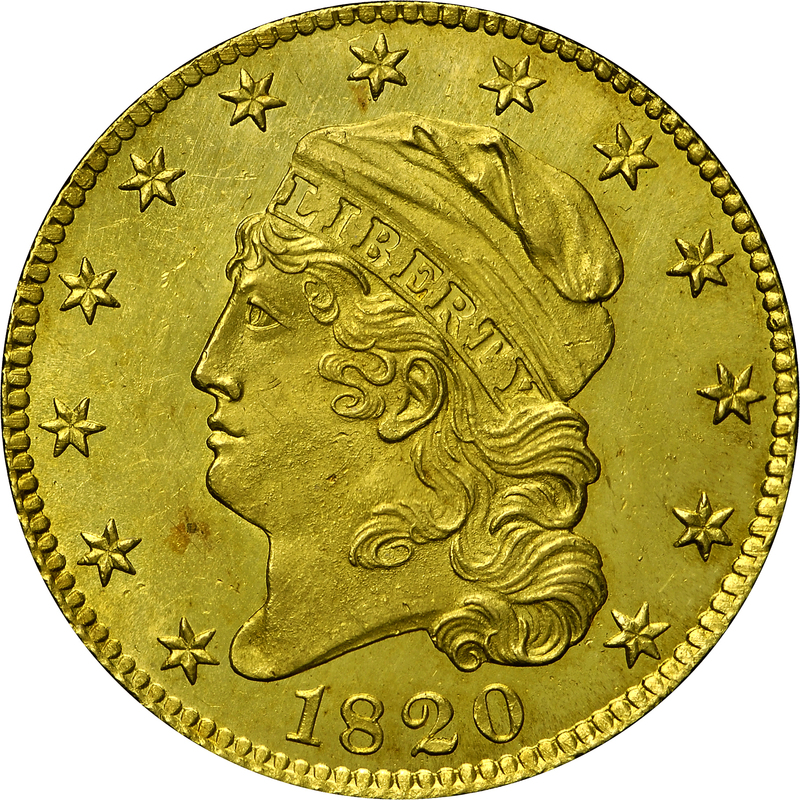 Walter Breen identified coins belonging to his second grouping as having a curled or curved-base 2 in the date and large letters on the reverse. 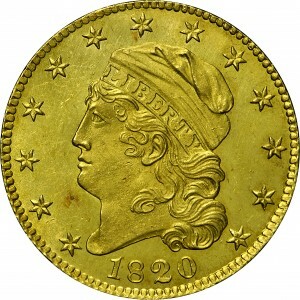 He only listed one variety for this group, which he identified as 3-C. Bass Collection coins of the type are displayed as HBCC-3137, 3139, and 3142. 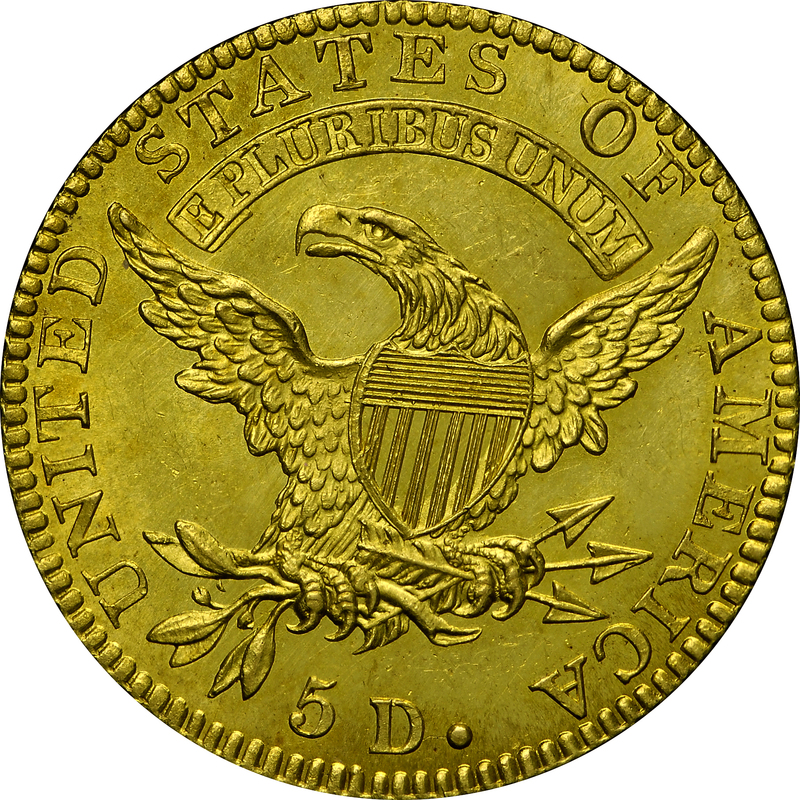 Clearly, these were struck from three distinctly different obverse dies and two reverse dies. This outstanding Proof example is attributed as Breen 4-C and is from the Norweb Collection. 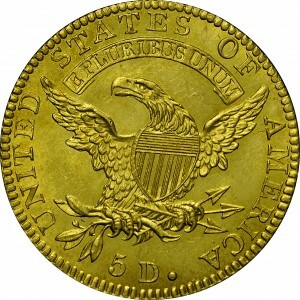 Walter Breen misidentified this coin in his monograph as 4-D with small letters on the reverse. From the Bowers and Merena Galleries sale of the Norweb Collection, October 1987, Lot 772. Earlier from Abe Kosoff's sale of the Thomas G. Melish Collection, April 1956, Lot 1943. "Obverse: Curve-based 2. Belted 8. Sides of interior of 0 parallelized. Bottom tight curl over left side of 0. Star 7 points in front of a cap angle, while star 8 points at a cap angle. Minute die center punch in front of ear. Vertical rust lumps in field at tip of front lock, and in front of L. Reverse: Large letters. 'Punched' T (letter T has a triangular punch in bottom of upright. Used in other years.). S over E and space right. T over R and space right. S over US. Base of E high to that of adjacent T. Perfect M. Fairly close 5D, top of 5 markedly higher than that of D. Large period. Further lapped, more than half of shield's interior polished."